men’s/ladies’ tailored jackets, suits, leather garments etc. 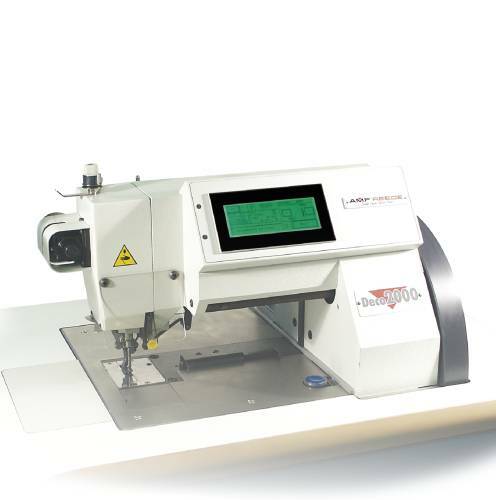 This handstitching machines are equipped with our unique and patented floating needle technology. The handstitching machines use a double pointed needle with an eye in the middle. By the use of two needle bars, a length of thread is passed through the material duplicating the hand stitch with flawless consistency and incomparable speed. 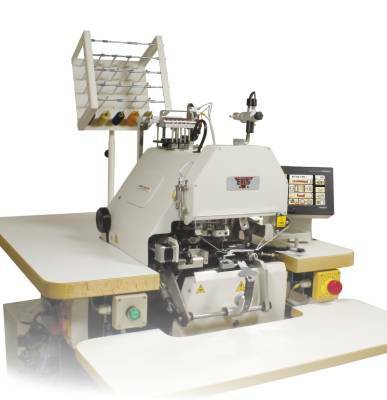 Due to the hand-sewn effect the handstitching machines are presented as the hallmark of quality. AMF Reece offers two different handstitching machines, the electronic button sewing and wrapping machine that duplicates the quality of hand sewn buttons and the renowned electronically controlled decorative hand stitching machine Deco 2000 that duplicates the needlework of a skilled hand sewer by sewing true “pick stitch” and saddle stitch.